Tune to News Radio 1490, WESB-AM for local and national news, live sports, catch the weather and find out what is happening locally. You’ll also want to visit www.wesb.com for a wealth of local information to keep you connected while on vacation. 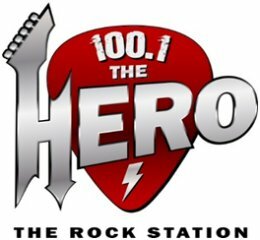 On the FM side, listen to your favorite new and classic rock music 24 hours a day on THE Rock Station, 100.1 The Hero, also streaming live at 100.1thehero.com.